Joseph S. Noris (born October 26, 1951) is an American former professional ice hockey center. Drafted in the third round, 32nd overall, by the Pittsburgh Penguins in the 1971 NHL Amateur Draft, Noris played 55 regular season games in the National Hockey League with the Penguins, St. Louis Blues, and Buffalo Sabres in 1971–74. He also played in the World Hockey Association with the San Diego Mariners and the Birmingham Bulls, skating in 198 WHA games, scoring 72 goals and adding 116 assists from 1975–1978. 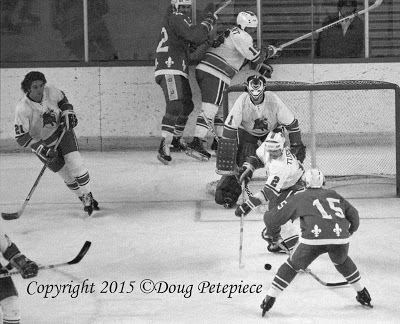 Noris was selected to the 1977 WHA All-Star Game as the Mariners representative and also played for the United States at the inaugural 1976 Canada Cup tournament. Noris was the first played who grew up in Colorado to make it to the NHL. He would be the only Colorado native to suit up until Parris Duffus played a single game in 1997. Noris currently owns and runs Skate San Diego, a roller hockey rink in Santee, California.